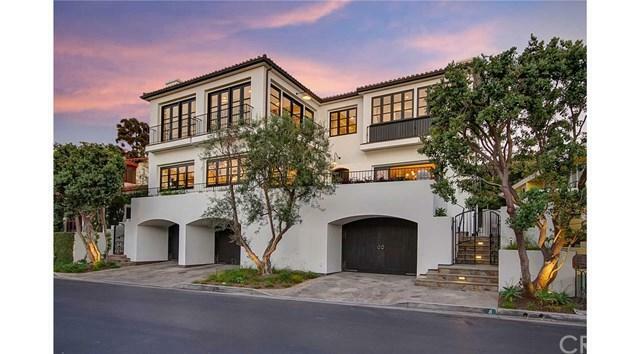 Located on the ocean side of the exclusive, guard-gated community of Emerald Bay and just steps away from its private beach, this contemporary Santa Barbara style residence offers the epitome of idyllic Southern California coastal living. Designed by prominent Laguna Beach architect, Ed Lohrbach, this spacious 4,305 square feet home exudes comfort and convenience with 5 ensuite bedrooms, chefÃƒÂ¢Ã¢â€šÂ¬Ã¢â€žÂ¢s kitchen, pantry, formal living room, family room, three fireplaces, laundry room, and an over-sized three-car Located on the ocean side of the exclusive, guard-gated community of Emerald Bay and just steps away from its private beach, this contemporary Santa Barbara style residence offers the epitome of idyllic Southern California coastal living. Designed by prominent Laguna Beach architect, Ed Lohrbach, this spacious 4,305 square feet home exudes comfort and convenience with 5 ensuite bedrooms, chefÃƒÂ¢Ã¢â€šÂ¬Ã¢â€žÂ¢s kitchen, pantry, formal living room, family room, three fireplaces, laundry room, and an over-sized three-car garage with parking for golf carts. Superb finishes include Neolith kitchen countertops, solid mahogany window casements, and European oak wood flooring. The master suite features spectacular ocean views, a walk-in closet, dual floating vanities, a freestanding tub, an immense stand-up shower, and a master retreat. A central patio provides ample space for entertaining and utilization of indoor and outdoor spaces with bi-fold doors that usher in the ocean breeze. An in-ground plunge pool and spa complete the private outdoor space while the prestigious community offers 3 luscious parks, 6 tennis courts, 3 volleyball courts, several playgrounds, swimming pool complex, and clubhouse. Conveniently accessed through a secondary gate, the home is also just within minutes of the specialty shops and restaurants of the Village of Laguna Beach and the premiere Crystal Cove Promenade in Newport Beach.